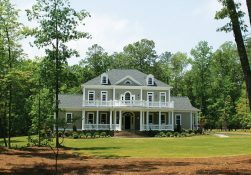 Charles Ross Homes is an award-winning designer and builder of custom homes in the Williamsburg, Virginia area. Since 1983 we have been designing and building homes in the most distinguished Williamsburg neighborhoods. We are honored to have been selected by the developers of Williamsburg’s newest community, Liberty Ridge, as one of the first builders in their preferred builder program. Our projects include both the design and construction of custom homes and remodeling. We offer a unique combination of expertise in residential architecture, building science, and construction. Our approach is to partner with clients beginning in the design stage to produce a home that meets their lifestyle needs and respects their budget requirements. Our more than 25 years experience, our trade partner relationships, and our proven processes ensure your home will be completed on-time, on-budget and with the quality you expect from Charles Ross Homes.